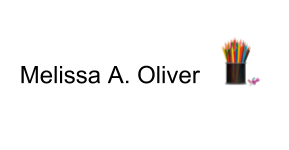 Last week, I discovered that Google Drive (Docs, Slides, Drawing, and Sheets) all support the insertion of alternative text for images. Alternative text is an accessible design feature that provides alternative text for images. 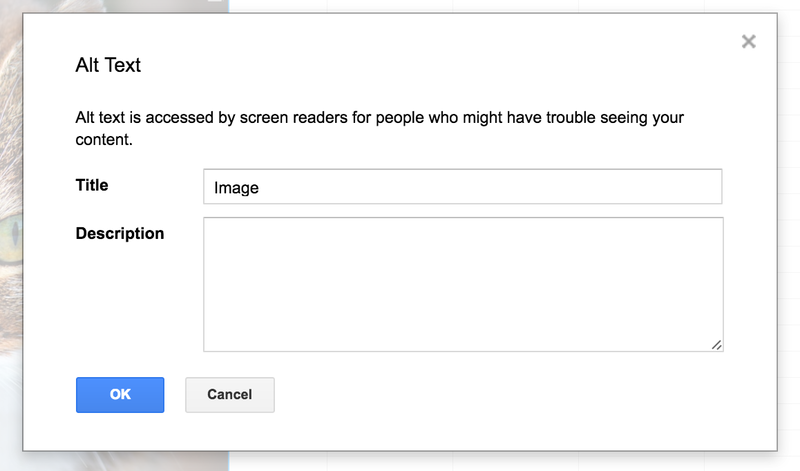 This is a critical for people with low vision or blindness who access the internet via a screen reader. It is also useful when your internet is slow because alternative text is faster to load and will display before the image loads. I have done my best to consistently use alt img tags on this site but had NO IDEA this feature was available in Google Drive. 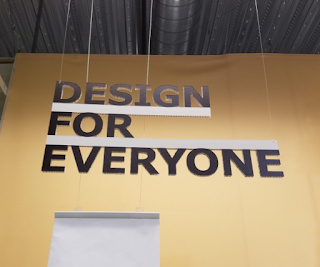 It only makes sense to also add alternative text to Google Drive files and what a great #CreateAccessibility lesson for students along with digital literacy. 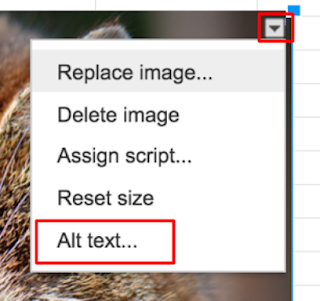 How to add Alternative Text to Images in Google Docs, Slides, and Drawing. 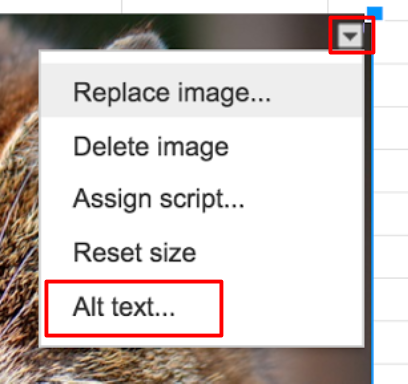 How to add Alternative Text to Images in Google Sheets. WebAIM has a great resource page on crafting alternative text with multiple examples appropriate to share with students in the classroom. The technical piece of adding alternative text is easy but imagine the tremendous power of students evaluating the purpose of their image in order to craft the appropriate alternative text. So many possibilities here. As I work on establishing new habits that include alt text in my Google Drive files, I can't wait to try this with students. 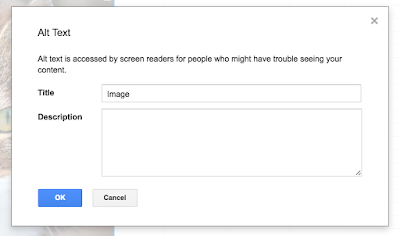 I also can't help but wonder why Google Forms with the addition of images in questions and responses does not offer the ability to add alt text for images?